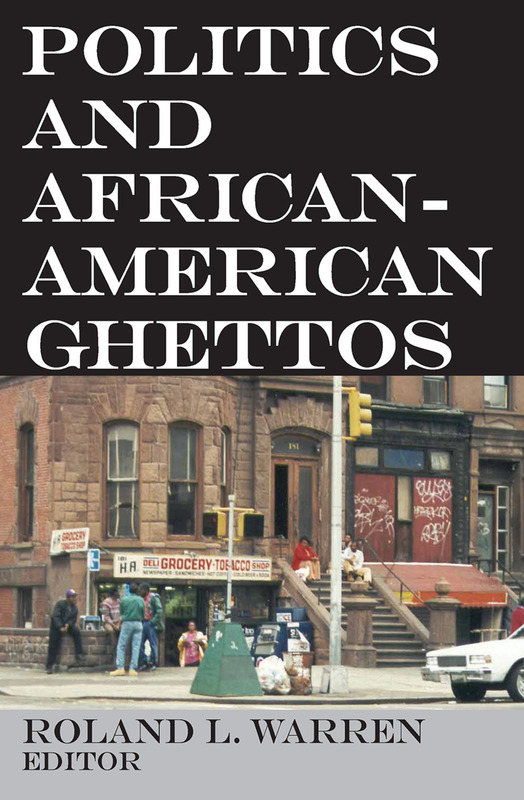 The black ghetto is a byproduct of American social policy. It came into being within policies that were adopted - deliberately or inadvertently - and will persist, in the absence of drastic changes in policy. "Politics and the Ghettos" searches out the policy-making processes that have created the ghetto and that maintain it. Roland L. Warren has assembled, in this volume, the work of researchers who examine complex forces and counter forces which result in perpetuating in our cities areas in which poverty, poor housing, inadequate education, and involuntary segregation converge to form a black ghetto.This work present a variety of points of view, strongly held and at times hotly contested, searching out the relevant policymaking processes in various sectors and levels of American society. For example, Norton Long discusses the ghetto's particular failing: a social and political structure based on lower-class culture and lacking strong middle-class leaders.Roland Warren suggests that the "ghetto system" does not make the individual part of the larger society, but causes people to view it with fear and anger. Robert Wood examines the way big-city policy is made - or left unmade - in regard to ghettos. Charles Adrian discusses the relation of state governments to city ghettos. Daniel Elazar asserts that the current ferment for local control is a return to sound principles of American federalism based on "noncentralization, territorial democracy, and partnership." Charles Schottland documents the role of giant bureaucracies - in the federal government and in nongovernmental organizations in influencing social welfare policy. Whitney Young, Jr., indicates political pathways open to those who desire an active part in attacking the ghetto system.This provocative work raises disturbing questions having to do with the processes through which American ghettos are created and sustained, processes that must be altered if problems inherent in the black ghetto are to be attacked effectively. For concerned students, scholars, and laymen, it affords new insights into the phenomenon of the contemporary African-American network and its perplexing durability.